Woohoo let's get this party started!!! Wahoo!! Friends are the best!! FUN! 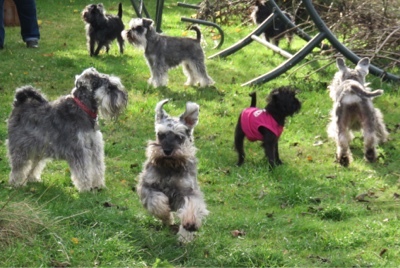 in capital letters, though you look a bit confused by those wild schnauzers! Wow, that looks like so much fun. We want to come over and play too!